It is the month my favourite bush a Ceanothus blossoms. Once this happens, I know Spring is truly here and summer is on its way. 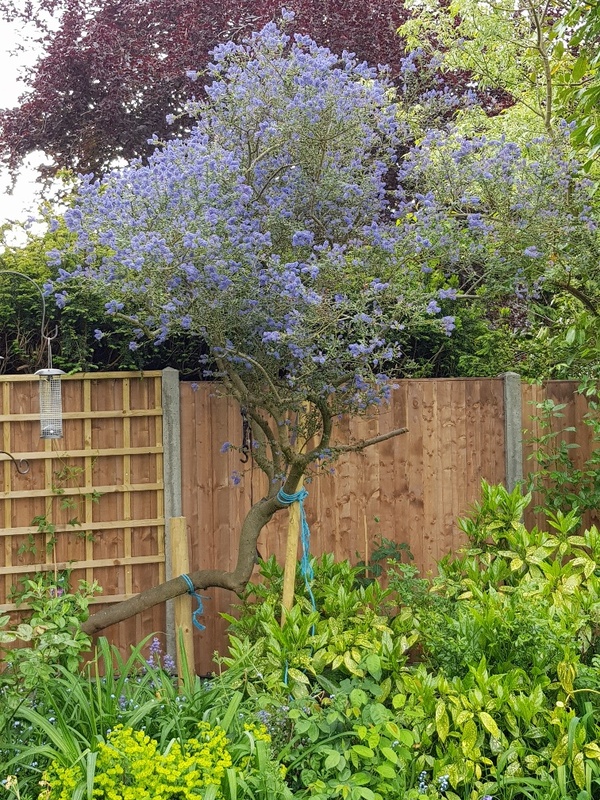 My Ceanothus has just blossomed. During the next couple of weeks, the buds will open more and gradually become a deep blue. The month of May was named for Maia, the Greek goddess of fertility. May Day was originally a pagan feast and goes back to ancient times. Romans celebrated the festival of Flora, the goddess of flowers and spring, Celtic people celebrated the festival of Beltane to acknowledge the onset of summer. Over the centuries it has been adapted to different beliefs. 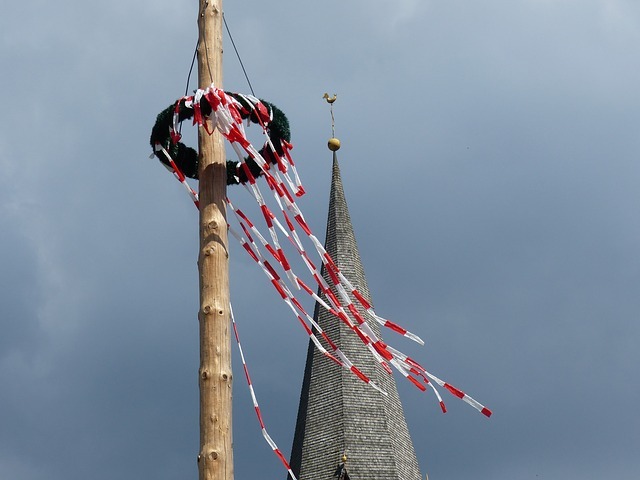 I heard that dancing around the maypole is a celebration of the masculine and feminine. Early maypoles may have been trees. Dancing around a tree, a group of people holding ribbons wove around each other wrapping the tree (later a Maypole) in ribbon and foliage. The aim was to bring fertility to the livestock, land and people who were living off it. 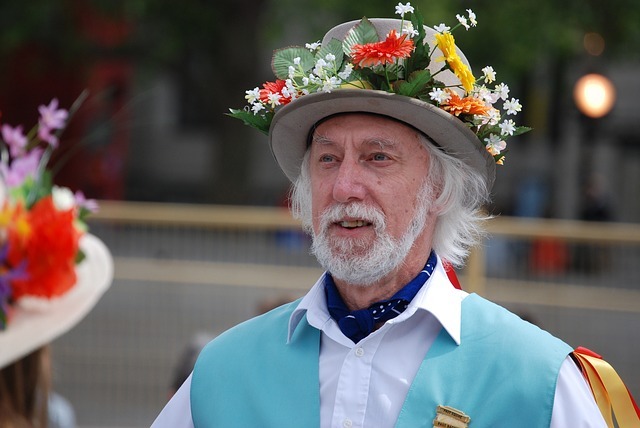 Another celebration to symbolise fertility is Morris Dancing which has been danced for hundreds of years, in villages of rural England. The crowning of the May Queen is a modern version of festivities going back to Roman times when people dedicated the festivities to Flora, the Goddess of flowers and spring. 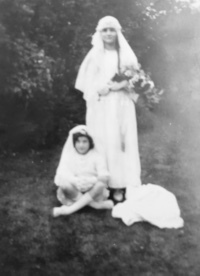 This is a photo of our mother when she was a May Queen aged eleven years in 1922. 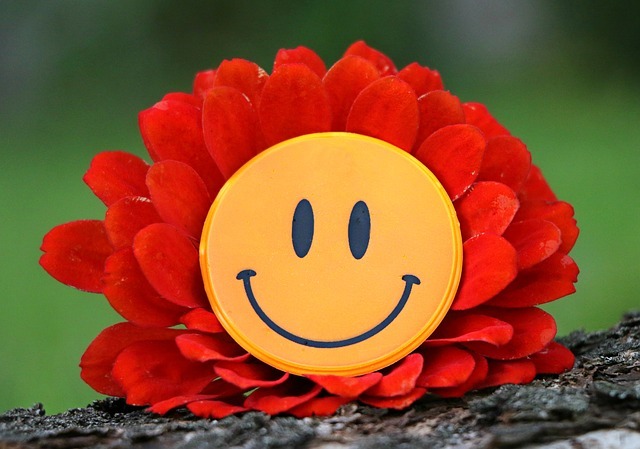 Around the world in early May, usually the first weekend, hundreds of thousands of people get together to celebrate world laughter, sending a huge wave of laughter and positivity around the globe! I walked around the corner, and someone saw me grin. When he smiled, I realised I had passed it on to him. I thought about the smile and then I realised its worth. On another note. Regarding GDPR. Did you know Data protection law is changing on May 25th, 2018 when the new General Data Protection Regulation ("GDPR"), comes into effect? To help comply with GDPR consent requirements, I need to confirm that you would like to continue to receive content from Well-being Works. I hope that Well-being Works content is useful to you. I would love to continue to keep you updated. If you have not already Opted in and would like to continue hearing from me, please update your subscription settings by clicking on the Opt-in link below. Should you change your mind in the future, you can unsubscribe at any time by clicking the unsubscribe link in the footer of any email you receive from us, or by contacting us at jennifer@well-beingworks.com.